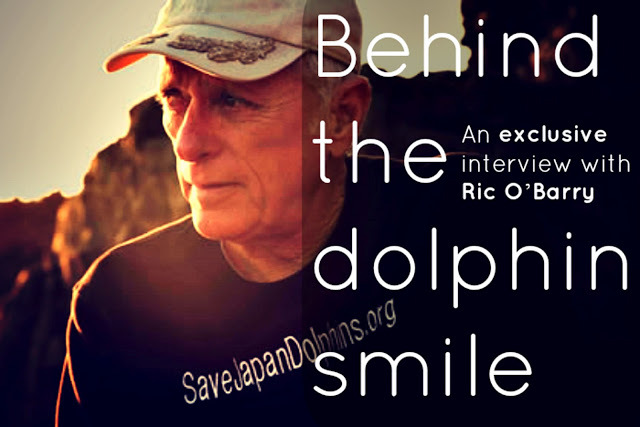 Richard O’Barry is the founder of Dolphin Project, Inc. and director of Earth Island Institute’s Save Japan Dolphins campaign. 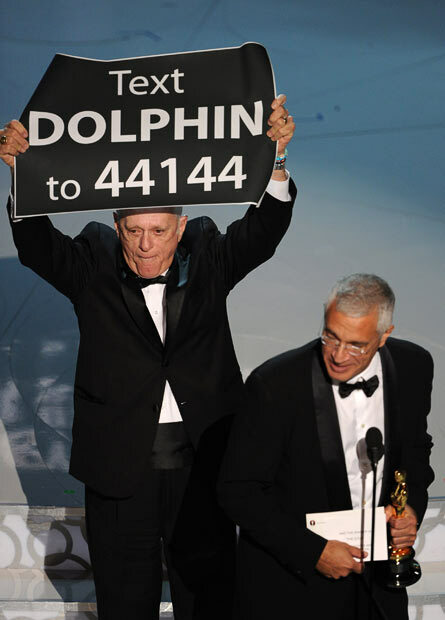 He is a world-renowned advocate for dolphin freedom. He starred in the Academy Award®–winning documentary, The Cove, and in his son Lincoln O’Barry’s television series, Blood Dolphin$, on Animal Planet and Planet Green. He lives in South Miami, Florida. 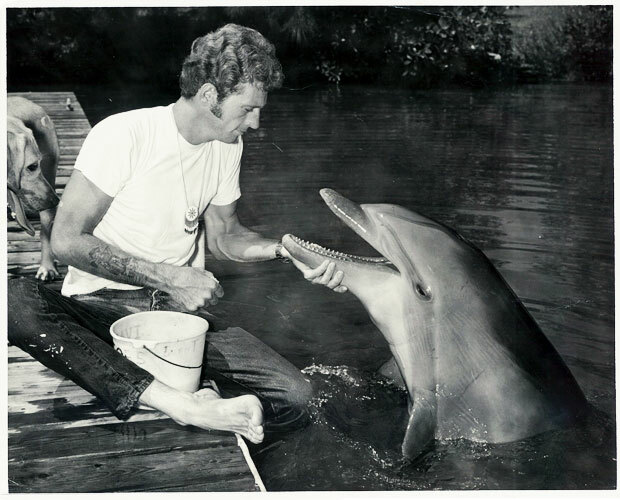 In Behind the Dolphin Smile, Richard O’Barry shares his experience with dolphins in this captivating autobiographical look back at his years as a dolphin trainer for aquatic theme parks, movies, and television. It chronicles what led O’Barry to change his perspective on the treatment of dolphins and begin a campaign against dolphin captivity that has spanned decades. 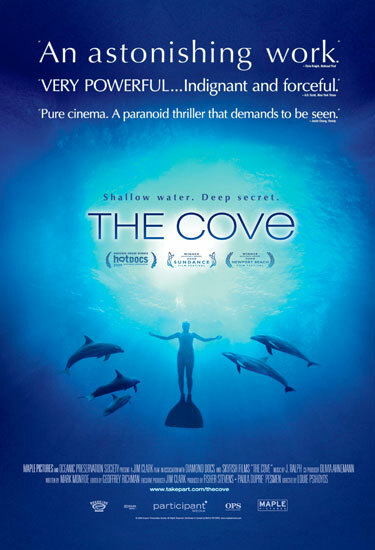 Included in this new edition is a preface on O’Barry’s role in the riveting documentary The Cove, which has garnered more awards than any other in its genre, as well as information on his campaigns to stop the slaughter of dolphins. O’Barry’s new edition of Behind the Dolphin Smile serves as a platform to inform new generations on the international plight of dolphins and inspire those willing to join the cause. We’re totally thrilled to have interviewed Ric O’Barry about the new edition of his book Behind the Dolphin smile- a book that gives us an in-depth look at his continuing tireless efforts to free cetaceans from the slavery of the marine park industry, and to stop the slaughter of these beautiful animals. Blue Freedom: Mr. O’Barry, thank you so much for joining us to talk about your book. Can you tell us about what inspired you to write Behind the Dolphin Smile? Ric O’Barry: At the time I wrote it, I wanted to bring to the public both a bit of my story, but especially my way of thinking about captivity and dolphins. They are marvelous animals, and I felt at the time that I had betrayed them as a trainer and promoter of the “Flipper” television program. I came about to a different way of thinking and worked to oppose captivity, so “Behind the Dolphin Smile” was my way of telling that story. In 2003 we started the Save Japan Dolphins Campaign at Earth Island Institute. 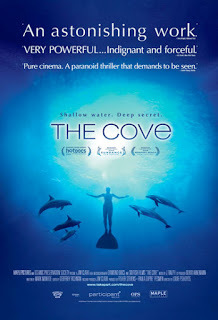 In looking for further ways to promote our cause, one idea that we came up with was to re-issue the book, with an updated introduction that talks a bit about The Cove documentary, which was released in 2009. Blue Freedom: What message does the book bring to it’s readers? Ric O’Barry: First, I hope, people will have a new appreciation about dolphins, about why captivity is wrong, and why dolphins belong in the wild ocean. I think the story of my life shows how one guy, who loves dolphins, did a complete turn-around on keeping dolphins in small tanks doing dumb tricks for the public. In a small way, I hope to change other people’s minds, both about dolphins and about why we need to care more about the health and well-being of the oceans and all its inhabitants. Blue Freedom: You’ve worked with dolphins in the past, can you tell us about a few of the individual dolphins that had a part in changing the way you viewed captivity? Ric O’Barry: I was in a unique position, because during the Flipper series, I lived with those dolphins. There were five dolphins that played the role of Flipper in the series, and my favorite was Kathy. I taught her a lot of tricks for the series, but she taught me a lot about just how smart these animals are. And remember, unlike dolphin trainers today, who run dolphins through their tricks and then go home, I was with Kathy night and day. When the series was over, she went back into a tank at the Miami Seaquarium. And, as I discuss in the movie, she eventually died there by, in my opinion, committing suicide in my arms and sinking to the bottom of the tank. That hit me so hard. The next day I was in jail in the Bahamas for trying to free a captive dolphin held there in a sea pen. I tell that whole story in the book. Blue Freedom: You’ve seen dolphins in the wild and in captivity; can you tell us which you think is the most educational and which would you recommend to someone who wants to learn more about these animals? Ric O’Barry: I think there is no comparison — watching wild dolphins will teach you about how these animals live their lives in the amazing ocean environment they inhabit. A dolphin in a tank is like a bird in a small cage — how can we learn about birds if we don’t see them fly? Captivity removes the two most important things in a dolphin’s life: it’s freedom to swim, and it’s family. You learn this by seeing wild dolphins, or by seeing films about wild dolphins or by reading books. You don’t see it in an aquarium setting — an aquarium cannot artificially duplicate the ocean or the dolphin family. Blue Freedom: What advice would you give to someone who is considering purchasing a ticket to a marine park? Ric O’Barry: It is all about the money — the only reason dolphins are kept in captivity today is not for education, not for conservation, and not for science. If people did not pay to go see dolphins, dolphins would not be enslaved. There are plenty of alternative ways to enjoy the REAL ocean and wild dolphins without buying a ticket to see dolphins do dumb tricks that have nothing to do with their real lives. Blue Freedom: What is your hope for the book? 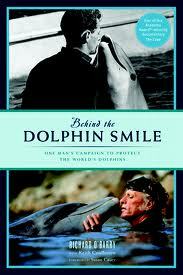 Ric O’Barry: Of course, I’d love for everybody to read it. I have written another book that is sort of the sequel, called To Free a Dolphin, and I have plans to write a book about our Campaign once it is successful, as I know it will be. I hope young people get inspired to help dolphins and the oceans, and I hope old people get inspired to learn more. That is what it is all about — we have an environmental crisis and we have to work at it to fix it. Blue Freedom: Any other thoughts on your book that you would like to share with our readers? Ric O’Barry: I certainly want to thank all the people that helped me through the years, all the dolphins I’ve known personally, and all the effort put in to re-releasing this book. It has been a real pleasure. Blue Freedom: Where can we purchase Behind the Dolphin Smile? Electronic copies are also now available at the Apple Store, Amazon, and Barnes&Noble for e-Readers. Thank you to the Earth Island Institute, Save Japan Dolphins and various sites for use of photos. Blue Freedom does not claim ownership of any of the photos used in this post. Imprisonment for ‘White Whales’? speaking out: an exclusive interview with students Susan F. and Ashlyn D.
I support Ric O'Barry's SAVE JAPAN DOLPHINS with a $100 donation today.